Don't miss your chance to own a sophisticated BMW X5, team up with our new and pre-owned dealership's finance center in Bloomfield, New Jersey today! Our credit experts have years of experience and work with all credit scores, so whether you're looking to acquire a BMW 5 Series with a healthy credit score or are interested in finding loans for a pre-owned BMW X3 purchase that complement your sub-prime credit rating, we're here for you. BMW of Bloomfield has teamed up with a variety of lenders in the New Jersey area to ensure we're not only exploring the competitive options you can put to use but to be certain we are evaluating all the financing possibilities that are available to you. Make your way over from Newark, NJ to our dealership in Bloomfield to sit down with one of our helpful finance department team members. 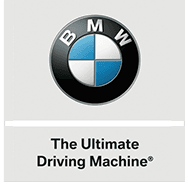 Drivers can also use our secure online BMW credit application to express interest in our professional auto loan services from the privacy of their Clifton home! We look forward to going over the ways our new and pre-owned BMW dealership can be of assistance.